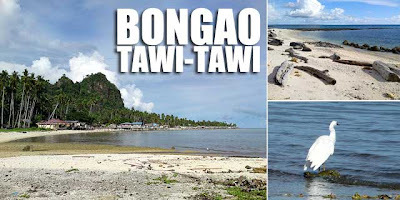 Tawi-Tawi is the southernmost province of the Philippines. 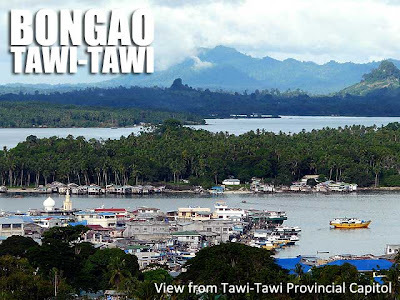 Although the impression is that it is unsafe, that is far from the truth since Tawi-Tawi is a relatively peaceful place. I was told that it has wonderful white sand beaches and rich cultural communities. 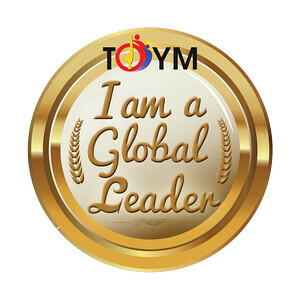 So I decided to check it out even just for two days. I was in Zamboanga City to attend a conference so I decided to fly over and found myself on a SEAIR flight to Bongao. The flight took a little over an hour and I was in Bongao in no time. As soon as I arrived, I went to my brod's place to get some rest first. I hadn't had any sleep the night before so I decided to start exploring after lunch. There are a lot of places to stay in Bongao but one of the better lodges is Beachside Inn where I decided to have lunch. Accomodations start at PHP900 for air-conditioned rooms. There's nothing much to see in Bongao and you could easily cover it in a day. 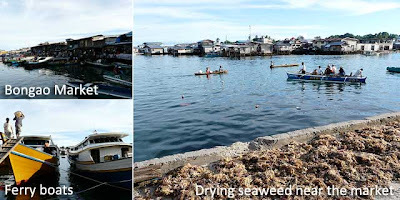 A friend took me around to the different areas of interest including some beaches, the Tawi-Tawi Provincial Capitol which is on top of a hill, offering a great panoramic view of Bongao and beyond, and the market area where you'll see a lot of seaweed being dried up (seaweed is a major product of Tawi-Tawi). I wish I had an extra day so that I could have taken a ferry boat to Simunul, the neighboring island, which hosts the oldest mosque in the country, the Sheik Karimal Makdum Mosque, and some of the best beaches of Tawi-Tawi. You'll have to stay overnight at least though so you'll need some friends there if you want to visit the place. 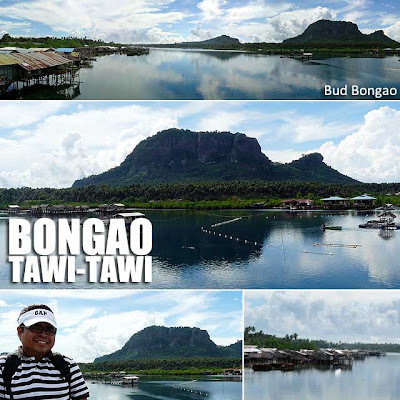 But you haven't been to Tawi-Tawi if you haven't visited Simunul! Sitangkai, called the Venice of the Orient, is another option but that would take a longer ferry ride. And I heard the waves are rough. So be ready for a real adventure! The next day, I had to catch my SEAIR flight back to Zamboanga City. On the way to Bongao Airport in Sanga-Sanga are great views of Bud Bongao. If you're into climbing mountains, trekking up Bud Bongao is a great option. Just don't forget to bring bananas for the monkeys. At the airport, I had some local food at the nearby carinderia which included pastil, a fried empanada filled with bihon noodles, and sindol, which is the local ginataan (warm coconut milk dessert). It was really cheap! Anyway, the stay was too short to experience Tawi-Tawi. So I'm definitely going back to explore some more! Thanks kegler747! I personally enjoy the road less-traveled. How I wish I could visit Sulu when the situation is much better.